02. The Heptones - "I Hold The Handle"
03. Carlton & The Shoes - "Never Give Your Heart Away"
04. The Minstrels - "Yours Until Tomorrow"
05. Jerry Jones - "Oh Me Oh My"
06. Horace Andy - "I'll Be Gone"
08. 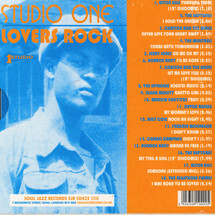 The Invaders - "Soulful Music"
09. Sugar Minott - "Ghetto Girl"
10. Marcia Griffiths - "Truly"
11. Devon Russell - "My Woman's Love"
12. Billy Cole - "Rock All Night"
13. Freddie McGregor - "I Don't Know"
14. Cornel Campbell - "Didn't I"
15. Horace Andy - "Wanna Be Free"
18. The Righteous Flames - "I Was Born To Be Loved"
Lovers rock brought together many elements and here you will find sweet harmonies, late 1960s rocksteady, 1970s soul covers, discomixes, recuts and new rhythms – which all fit together in a timeless twilight of love & harmony - as if lovers silhouetted by a Kingston sunset. 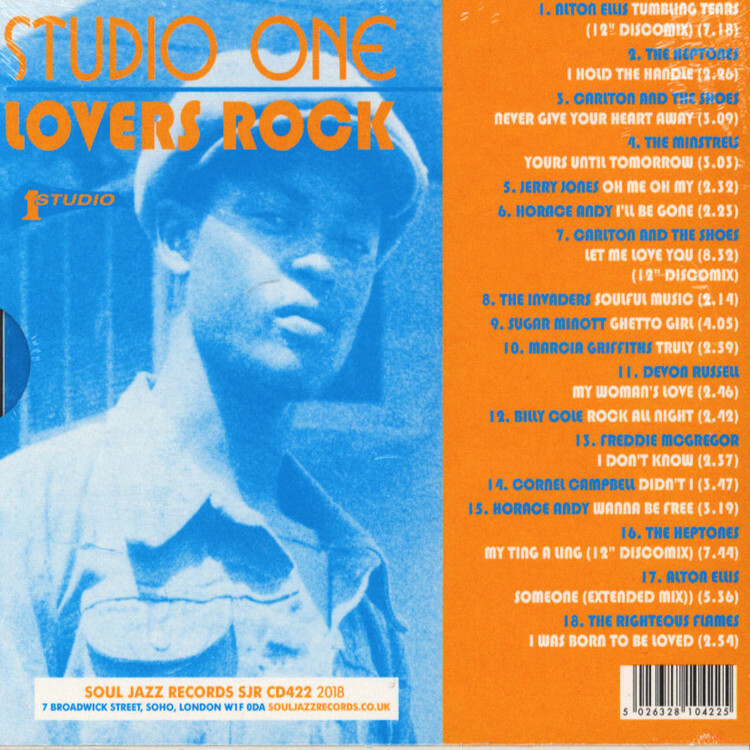 Here you will find stone-cold classic Studio One tunes – Marcia Griffiths ‘Truly’, Horace Andy’s I’ll Be Gone super-rare cuts like Carlton and The Shoes killer 70s versions of Never Give Your Heart Away and Let Me Love You (vocal cut to Jackie Mittoo’s mighty Wall Street), The Invaders sweet lovers rocksteady bomb ‘Sweet Soul Rocking’ (currently for sale at £2,500 on discogs!) and many more! This new album comes with sleevenotes by Lloyd Bradley, the acclaimed author of Bass Culture, Sounds Like London and Reggae: The Story of Jamaican Music.